Costco is one of the most popular stores in America, and its large volume of customers means that, inevitably, injuries occur on store premises. If you slip and fall at Costco, you should seek medical attention for any injury that’s obvious, or even if you just feel sore or a little “off.” You may need x-rays or other diagnostic tests to determine what your injuries are. It may take a day or two for the extent of your injuries to become apparent, and you will also want to follow up with your primary care physicians. Abide by any restrictions your doctor may give you, such as limiting activity, not bearing weight on the affected area, or not doing any heavy lifting. Try to keep a journal or log about your treatment and how you feel on a daily basis, because some details may be hard for you to remember down the road during a lawsuit. You may also need rehabilitative care, such as physical therapy or chiropractic care. If so, be proactive and keep your appointments and, of course, follow the directions of your care providers because their job is to help you recover as much and as quickly as possible. Not every slip and fall results in an injury, and not every slip and fall results in a judgment against the store. 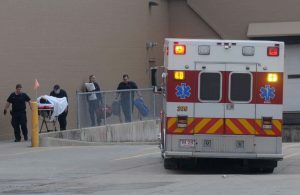 If you are injured in a slip and fall in a Costco store you should not presume that you will recover financial damages. You are only entitled to seek damages for your injuries and receive a fair compensation settlement when the negligent behavior of others was to blame for your injuries. All retail and grocery store owners owe a duty to their customers in keeping their premises safe. But the burden in court is on the person injured who brings the lawsuit to prove liability. That’s not always so easy. the employees failed to provide proper warnings around the condition by placing signs or barricades. If you or a loved one was injured while visiting a Costco store, contact our office immediately. Our law firm handles lawsuits against Costco from across the country.